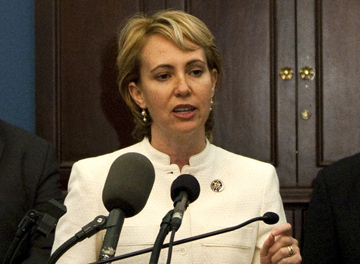 The inevitable has happened: Gabrielle Giffords, a serving member of Congress, was the victim of an attempted assassination yesterday. While she survived the attack, a 9 year old girl (!) , a federal judge who stood against Arizona’s racist ‘profiling’ law and four other people were murdered at Representative Giffords public townhouse meeting. I’m at a bit of a loss of how to address this, as a violent outburst was painfully predictable given the charged political climate, but having it actually happen is outrageous. In the wake of this kind of tragedy, the media will do what they always do: offer platitudes and calls for the ‘toning down’ of rhetoric. They will dismiss any possible motivations of the shooter besides being ‘crazy’ and will thus absolve themselves of any associated blame. To an extent, I agree. If you have a constitutionally enshrined right to bear arms in a free society, ‘the crazies’ will have guns that they will use to their own twisted ends, (JFK, John Lennon, Reagan). Effectively predicting the actions of unpredictable people is by definition impossible, which is why I think speculating on the motives of the shooter with regards to motivation is misguided. In this way the shooting can be looked at as a weather event- unpredictable without all data, chaotic and unexpected. As an aside, it should be stressed that not all ‘crazy people’ are violent, just like not all atheists, Christians, democrats, liberals, anarchists, republicans, left-handed people and dog lovers (to name a few) are violent. Whatever the shooters motivation, the fact that he chose to act out his philosophy with violence is terrorism, and should be called out as such. I think that the relationship here is similar to the relationship between weather and climate- climate describes long term trends whereas weather is concerned with the short term. It’s impossible to overlook the rhetorical climate in which this chaotic event took place. I won’t say here that there is any direct causal link between the Giffords shooter and faux news, because that would be a speculation based on my personal prejudice against violent, eliminationist rhetoric. But if you look at the ‘media narrative’, especially leading up to the 2010 elections, you find no intelligent discourse about policy and more charged imagery of targets, and ‘second amendment remedies’. Take Giffords opponent in the last election-Republican Jesse Kelly literally raised money by promising to ‘remove Gabrielle Giffords from office’ by ‘shoot[ing] a fully automatic M16’ . In the wake of her actually being shot, we have the luxury of shame about these actions. I wonder what Mr Kelly would tell the parents of the 9 year old girl who was murdered because of the ‘unintentional’ implications of his fundraising. In a society populated by both rational and irrational people, we must all come to terms with the fact that what we say and how we say it matter. Charged rhetoric may make you money from the base, but it also feeds the dangerous delusions of unstable people. These unintentional consequences are still real consequences. I predict much hand-wringing to come, but no real admissions of responsibility from those who contributed to this climate. I wish I could believe that this is a wake-up call, a time for us to move beyond violent partisan hackery, but that’s obviously not the case. To move beyond this rhetoric is to admit that the rhetoric was a cause of this violence in the first place, which is not going to happen. How many extreme weather events will it take before we can accept the reality of the new climate? If the actual acceptance of climate change is any indication, we’re all royally screwed. Months before any of this happened, the ladies on the view nailed it. I want to put something out there to those talking heads who are still busy inciting this: Whatever comes down from this, it’s on your hands. When you say ‘wipe ’em out’ and when you sort of gently suggest that people do stuff, let me tell you about people that tell you to do stuff- you notice that they are not doing it. The people who tell you to go and do stuff- they’re at home! They’re not going to jail. If you get caught throwing a brick, shooting someone- you’re going to jail. Your family is going to suffer…Watch yourself, talking heads, because this is dangerous. ~ by Andrew on January 9, 2011. Wait a minute. 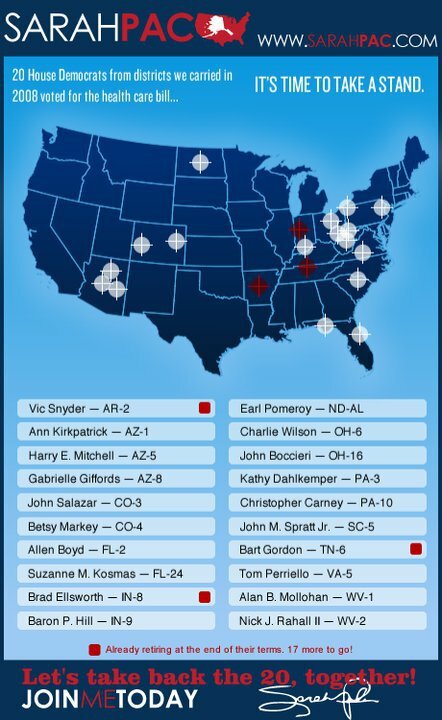 You’re NOT blaming Giffords for all this? You’re NOT saying she got what she deserved? You’re NOT saying Olbermann and Co. aren’t the worst instigators of violence? Are you trying to tell me I’ve found one sane person out there in the blogosphere?